In 2009, the Directors Guild of America Latino Committee honored Mr. Trevino with a career tribute for contributions to the DGA and to the Latino Community. The recognition included appearances by a host of producers, directors and actors with whom Mr. Trevino has worked with over the years. In March of 1969 Jesús Treviño attended the First National Youth Conference sponsored by the Crusade for Justice in Denver, Colorado. 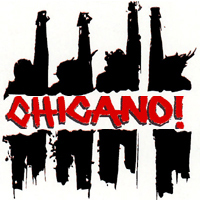 The conference attracted more than 1500 Mexican American youth from throughout the United States and resulted in the articulation of the Plan de Aztlán which defined Chicano nationalism as the driving philosophy of the emerging Chicano civil rights movement. Trevino‘s historic 16mm footage of the conference, including the dramatic raising of the Mexican flag over the Colorado State Capital building and marches through the streets of Denver was later incorporated into the four-part documentary series CHICANO! History of the Mexican American Civil Rights Movement (1995). 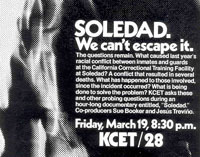 In 1969 public television KCET in Los Angeles inaugurated the first Mexican American public affairs program, AHORA! which was broadcast live nightly from a satellite studio based in the heart of the East Los Angeles barrio. Jesús Treviño served as Associate Producer, writer and co-host of the program’s 175 half-hour shows (1969-1970). 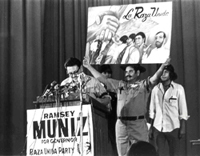 In 1972 Jesús Treviño served as the media coordinator for the first National Convention of the Raza Unida political party held in El Paso, Texas from September 1-4. He also wrote and produced a half-hour film titled LA RAZA UNIDA which was broadcast over KCET on January 4, 1973. The film chronicles the events of the convention and includes an exclusive behind-the-scenes look at party leaders José Angel Gutiérrez and Rodolfo “Corky” Gonzalez discussing strategies for building a national voting block of Latinos in the United States.. In 1975-76 Jesús Treviño served as Executive Producer of The Infinity Factory, a half-hour magazine format program designed to teach mathematics to children ages 9-11 years of age. The program included dramatic segments, cartoon animation and documentary elements and was broadcast nationally over the Public Broadcast Service (PBS). It won the Action for Children’s Programming Award of Excellence for children’s programming. In 1976. Jesús Treviño wrote and directed the Mexican feature film Raices de Sangre (Roots of Blood) for Conacine Productions in Mexico City. The film, chronicling the creation of an international union of garment workers in a Texas border town, was the first co-production involving Mexican and Chicano actors from both sides of the border. The film was released in an English subtitled format in the United States in 1979. Variety called the film “a solidly made call to political involvement and activism. In 1979, Jesús Treviño wrote and directed the American Playhouse Drama Seguín which was broadcast nationally over PBS in 1980. The film tells the conflictive story of Juan Seguín and other Tejanos who fought on the side of the Anglo Americans against Mexican General Santa Ana at the battle of the Alamo.. The Associated Press described it as "a sensitive, faithfully reconstructed and beautifully filmed biography of a hero of the revolution in Texas in the mid-1830s who becomes a victim of racial and cultural prejudice." In 1988, Jesús Treviño directed the CBS After School Special Gangs which was distinguished by its sensitive treatment of the gang problem in Latino barrios. The program won the Imagenes Award of Merit, the best one-hour drama award at the New York Latino Film Festival and was recognized as Best Daytime Television drama by the Director’s Guild of America. In 1989, Jesús Treviño produced the one-hour docu-drama Birthwrite, directed by Luis R. Torres. The video showcased childhood experiences in the Latino community as portrayed by eight Latino writers: Lorna Dee Cervantes, Judith Ortiz Cofer, Rolando Hinojosa, Tato Laviera, Alejandro Morales, Nicholasa Mohr, Alberto Rios and Edward Rivera. Beginning in 1991, Jesús Treviño, along with Luis R. Torres and José Luis Ruiz, researched and raised funding for a four-part documentary on the Mexican American civil rights movement of the 1960s. The series was broadcast nationally over the Public Broadcasting Service (PBS) in 1995. Treviño served as Co- Executive Producer for the series which won the Imagenes Award and the Nosotros Golden Eagle Award for best documentary. In 1999, Jesús Treviño directed the two-hour made for television pilot movie Resurrection Blvd. for the SHOWTIME cable network. The movie, from a script by Dennis E. Leoni, was so successful that SHOWTIME ordered a television drama series based on the movie’s characters. Treviño served first as Supervising Producer and then as Co- Executive Producer for the drama series and established the visual look and style to the series which ran for three seasons (2000-2002). 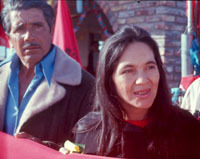 In 2006, The Reel Rasquachi Film Festival at California State University at Los Angeles, honored Mr.Treviño with a Tribute Screening of his 1976 visionary and prophetic Mexican feature film, RAICES DE SANGRE. The theme of the immigrants crossing into the United States to find a better life, found a new audience in the wake of national, Day Without An Immigrant marches.